Who would’ve thought? Engine, transmission, and tire noise have become so quiet that the air-conditioning system is now the noisiest part of a car. The start-stop feature, which turns off the engine when the car is stopped, has especially contributed to this development. This means that the only noise being made in a car stopped at a red light is coming from the ventilation. As a result, car manufacturers are placing an increasing focus on reducing ventilation-related noise. All automotive manufacturers place a premium on comfort and Röchling Automotive makes an important contribution to greater passenger comfort with its acoustically effective A/C air ducts. The previous injection molded A/C duct is being replaced by a self-supporting absorber component made with LWRT (low-weight reinforced thermoplastics). “We achieve an improvement in A/C noise of up to ten decibels in critical frequency ranges. This not only significantly reduces the annoyance factor of the noise, but also greatly improves speech intelligibility in the vehicle,” reports the Head of Advance Development Aerodynamics and Acoustics, Klaus Pfaffelhuber. 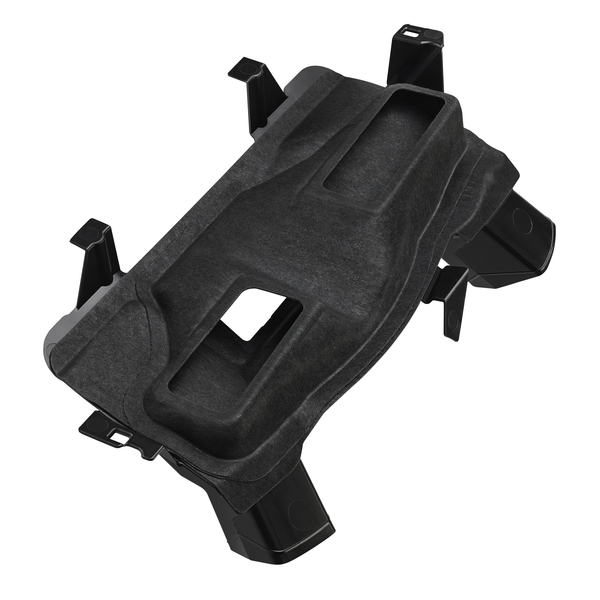 The LWRT material, which was previously only used for underbody acoustics, can be so flexibly implemented thanks to its unique combination of stiffness and acoustics characteristics that Röchling Automotive now is using it for A/C acoustic applications. With its hybrid design, i.e. its combination of LWRT and injection molding, this versatility could be further increased. “I am certain that this newly gained expertise will come in handy in other areas as well,” says Ludwig Huber, General Manager Innovation and Business Development, as he looks towards the future. The A/C duct from Röchling Automotive minimizes unwanted noise.